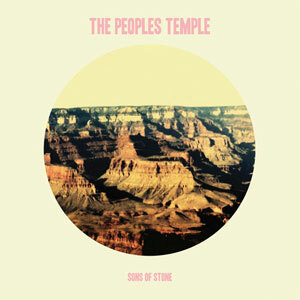 THE PEOPLE’S TEMPLE hail from Lansing, Michigan and they just dropped their debut LP from the Hozac label. Following up a string of rad singles from the likes of Certified PR and the pleasantly titled Milk n Herpes, these bros get the record they’ve certainly earned. These guys have a scarily vintage sound, ranging from 60’s and 70’s psych to punk to surf rock and maybe even some folk in between, this double set of brothers lay down the jams without ever breaking a sweat – in other words, it all seems to be done so effortlessly. Of all these influences, psych rock and surf rock seem to come through most often, at times with a hazy lysergic quality (“Sons of Stone Revisited”, “Never Really Saw Me Comin Round”) and other times with an addicting guitar hook they throw your way over and over (“Sons of Stone”, “Pretender”, “Stick Around”), which surely results in multiple plays. The self-titled opener “Sons of Stone” is quite an invigorating introduction, proving awfully fast that these guys are going to rope you in quickly. The song features passionate vocals mixed with a slew of dazzling guitar work, including but not limited to: sick licks, rippled and jangly metallic textures and Earth shattering squeals. Needless to say, this is an all-encompassing track with something to prove. While “Sons of Stone” leans more towards the garage rock end, other tracks like “Where You Gonna Go?” and “Pretender” come off quite differently. “Pretender” rages on with break neck speeds and spastic drumming, hereby making this the most punk inflected song of the record, while “Where You Gonna Go?” unexpectedly throws a folky country-esque curve ball your way, with plenty of crunchy twang to boot. However, no matter how much these tracks differ, they all still manage to sound like they were recorded inside the worlds smallest bathroom. Other tracks scattered throughout take many different forms, like “Led as One” which is dominated by crystal clear guitar leads, which certainly illustrates there is some serious guitar skill going on here. “StarStreamer” gives some huge nods towards surf rock, which by now should show just how well these guys can vary their sound. “Never Really (Saw Me Comin Round)” is a mystical and undisputed lysergic jam, with colored synth sweeps complemented by more energizing guitar licks to push it further. Album closer “The Surf” comes in at just the right time to prove even further their sound never overlaps, with rattlesnake percussion, bouncy bass lines and whispered backup vocals that give the track an eerie tone. Maybe you didn’t see it coming, but this is quite the fruitful record, with new discoveries to be found under every last stone. 5.) Where You Gonna Go? 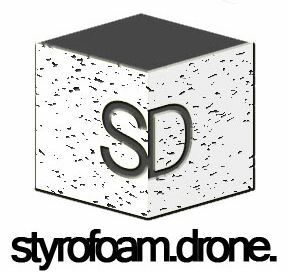 Posted on May 16, 2011 by styrofoamdronePosted in LP, Reviews, Still Spinnin'Tagged garage rock, psychedelic, surf rock.